You’ve heard all about the wonders of “passive income” and delving into the stock market to learn the ropes of investing and trading. It’s no longer just about hustling at your day job tirelessly to attain financial independence and stability. But investment is not just about staring at the market, watching your stocks and options, and deciphering acronyms to figure out just what you’re looking at. In other words, a nightmare for some. 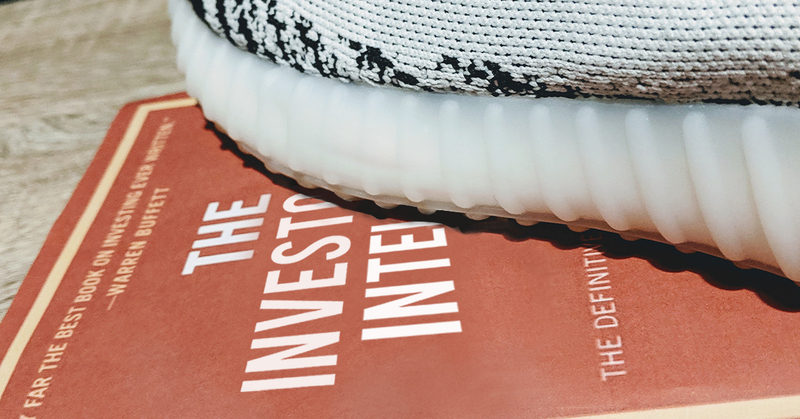 Investment can come in the form of reselling sneakers and streetwear – and if you’re up to your eyeballs in streetwear culture, you’ll know what we’re talking about. Somewhere down the line, shoes and hoodies stopped being simple. You’ve seen the Hypebeast folk on Instagram, with their fierce outfits and edgy poses. Supreme has been on fire since the mid 90s, coming from humble beginnings as a little skate shop to getting on famous fashion runways all around the world. Nowadays, when you catch a glimpse of someone decked in Yeezys, a Supreme hoodie, and Lord knows what else, you probably feel a little pinch of envy. Why? Because these kids are cool. Because we all wanna be hashtag relatable with the in crowd, too. It didn’t just come out of nowhere, though. This coolness has been around for roughly four decades now – and was once seen as a comfortable way of dressing only found among those deeply entrenched in skate culture in Los Angeles. Now, streetwear is considered fashion – and not just regular fashion. Celebrities are doing it. It’s become a movement bigger than where it came from. When people talk about high street fashion, streetwear’s right up there. There are resellers and marketplaces in Singapore that are pretty well known in the scene, if you know where to look. One such marketplace is EXIT (@exit_co on Instagram). 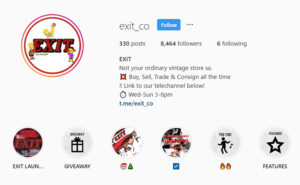 The team behind EXIT, a curated fashion retail marketplace selling vintage clothing and streetwear, started out simply pursuing a hobby. Other reasons? Limited releases, celebrity influence, and social media. “[Limited releases] add to the appeal because it generates hype and allows one to feel special when they are able to own some of these items that are “rare” and “limited”, on top of them being fashionable and comfortable,” Darren shared. “Hip hop has grown to be a dominant music genre,” he went on. “People look up to hip hop artists for fashion inspiration as well. When celebrities dress in streetwear, people take notice of certain brands and want to dress the same way. “Lastly, social media has made it simpler for people to actually pick up the latest trends and keep track of their peers as well as celebrities. One can easily see what their idols are wearing or the latest items bought by their friends through social media sharing,” concluded Darren. 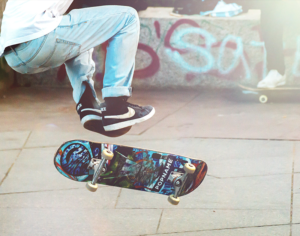 Of Streetwear and… Stock Markets? 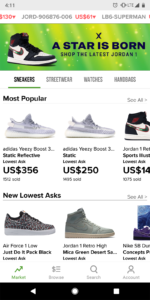 Tim, who works in marketing and sits next to me everyday, has an app called StockX downloaded on his Android. To the untrained eye, it looks like the kind of app an economics buff would use to check on his assets and options on financial markets. Maybe he’s just really into Forex trading. 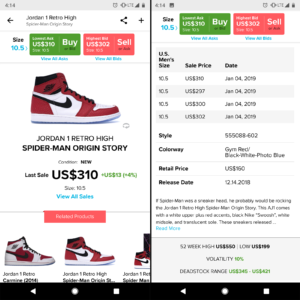 StockX is an app that helps collectors and sneakerheads find limited edition releases. In other words, it’s really just a super niche marketplace for streetwear lovers who don’t mind paying resale prices for, say, a pair of Yeezys. “What’s all the hype about?” I asked, in what was probably the most basic way possible. Thankfully, Tim is as patient as he is mild. “The releases from big brands like Nike and Adidas are sometimes limited edition – like, they make only 8,000 pairs of these sneakers worldwide to give an exclusive feeling,” he explained. So this is why we can’t have nice things. The deeper we delved into StockX, the lower my jaw dropped. 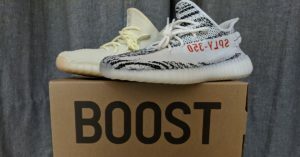 Yeezy sneakers purchased at USD $180 were being resold on this app for more than double the original retail price, sitting as high as $500. 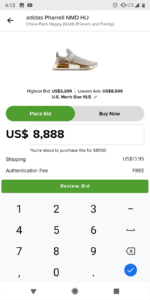 In the Bidding Section of the app, I came across a pair of Back to the Future sneakers that were being priced at USD $25,000. That’s SGD $33,900 if you’re crap at currency conversion. One of Tim’s most expensive pair of sneakers is the Adidas-Yeezy Boost, which he bought for around SGD $390 off StockX. So… like an actual stock market, then. And the big brands are well aware of what’s been happening in the community. I wondered out loud about the long game a person needs to play if they wanted to do more than just turn a quick profit. I asked EXIT’s team for their honest thoughts on the resale market and the divide it seems to create between the privileged (i.e. those who have the cash) and less privileged. But really, it’s also just a matter of economics. “We believe this is the inherent nature of limited edition releases,” EXIT’s team went on. 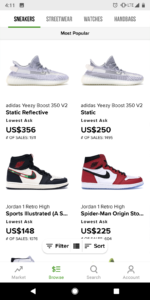 “It’s the simple economic logic of supply and demand; when items are released on a limited stock count, resale values become higher because [many] consumers are vying for them. Collectors usually go for items that are limited in number so their collections stand out. EXIT believes in the “willing-seller-willing-buyer” way of doing things, though openly acknowledging the presence of “selfish, profit-driven individuals” in the market that don’t necessarily enjoy the product they buy. Of course, not everyone’s on the resale marketplace hype train. Gabriel, who’s a feature writer and marketing executive, has amassed his own humble collection of Adidas boost midsole sneakers since starting in 2017. I mean, looking at my bank account, I’d only go for retail too. And there’s the real danger of the resale market: you’re giving up more money than is necessary. Depending on how much you love Yeezys and the state of your personal finance, this might not be the smart thing to do (even if it seems like you don’t have a choice). Heck, you might even be buying fakes – I know someone who knows someone that used to sell fake goods to make a quick buck. We went a little deeper on the topic of the resale market like what Tim showed me, and I asked Gabriel for his honest thoughts on its existence. “I think resale ruins the community,” he said. “When you queue for sneakers, you’ll see people who aren’t even sneakerheads with no knowledge about [the shoes]. They’re just in the queue because they want to sell it later for a crazy amount. It’s Flipping Impossible… Or Is It? 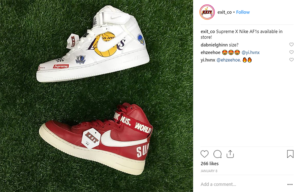 Big brands like Supreme and Nike, as mentioned earlier, are aware of these things happening within the community. 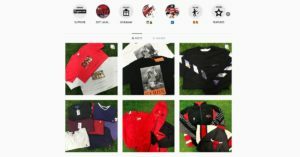 “Supreme tricks bots by putting different items in the wrong categories, so people end up buying the wrong stuff [with bots],” Tim revealed. 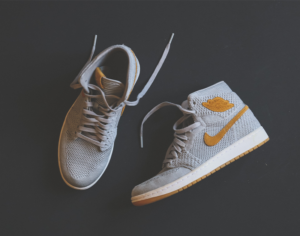 Nike went another route and released Jordan 1s that were labeled ‘Not For Resale’. This meant that customers who bought the sneakers couldn’t buy them in a box. They had to literally wear the sneakers out of the store, so they wouldn’t be in mint condition anymore. Adidas, according to Gabriel, also hunkered down once to mass delete bot accounts off its online stores. Gabriel reflected on the state of the community, and brought up some ideas of his own as to how to make things a little better for everyone (and their wallets). EXIT’s team also brought up the possibility of working around the system through raffles (if you’re lucky enough) as well as having to “put in the effort” in the form of queuing overnight in order to obtain a newly released item. “Nevertheless,” he concluded, “EXIT tries its best to bring in different tiers of items for people of all affluence levels, so they can find something they fancy that’s affordable. If your wallet’s tight, you might want to reconsider buying retail goods and merchandise to save yourself the financial guilt post-purchase. The resale market will always be there and available to those who can afford it, especially if they prefer leveling up their collections with limited edition goods. As always, sometimes delaying gratification is the only way. That is, unless you enjoy the idea of a nourishing, healthy diet of only grass. With this alternative investment method out in the open, we can only say that there are various ways of making money work for you if you look hard enough. As to whether or not it’s ethical or something that should be discontinued, it really depends on which angle you take. At the end of the day, whether you’re a reseller or a die-hard collector, what you do with your money is as personal as the fashion you choose.